Towers Six is the last, but certainly not the least, of the Towers 1-6 that share resort-like amenities in these oceanfront condos. Here in Towers Six you will enjoy the beauty of our no-drive beach and the convenience of local attractions and dining options in your piece of Ponce Inlet paradise. 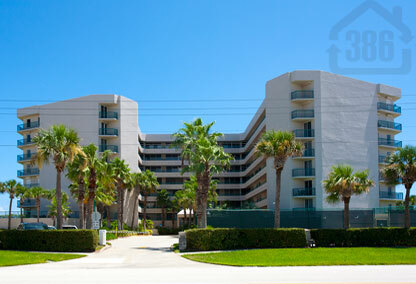 This direct oceanfront condo offers 2 bedroom and 3 bedroom condos and all units have a view of the ocean. Call us today at (386) 527-8577 for more information on Towers 6 or to schedule a showing. Ponce Inlet Is More Than A Beach Town! This ocean and river community is the perfect location for water sports enthusiasts. The river and the ocean are only a short walk away! There is a large marina nearby to house your boat and plenty of waves to cure your surfing appetite. Other beach town activities include fishing, running, biking, golf, aerobics, kite boarding, windsurfing, jet skiing, wakeboarding, kneeboarding, and much more. There is always plenty of sun in Ponce Inlet!